At least 272 people are dead and more than 400 are missing after a tsunami swept through a string of remote Indonesian islands, a local official says. Disaster official Ade Edward updated the death toll late Wednesday, after planes full of emergency workers and relief supplies reached some of the affected communities. 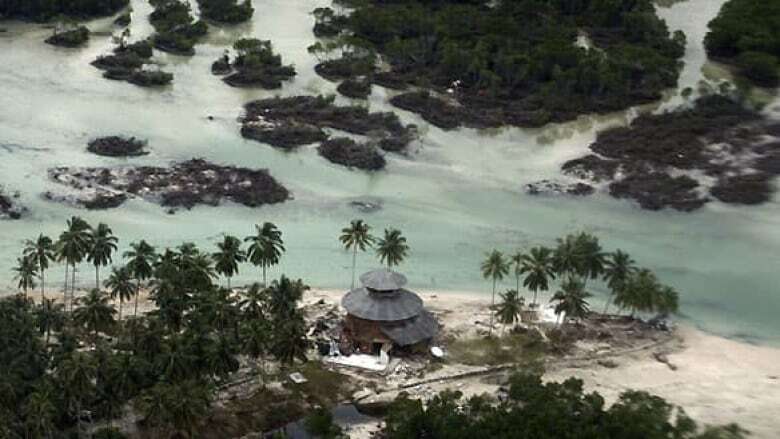 A 7.7-magnitude earthquake Monday triggered the three-metre wave that hit several remote islands, flowing into villages and washing homes into the water. Bad weather and rough seas slowed initial rescue efforts, and relief teams are still struggling to reach some areas. 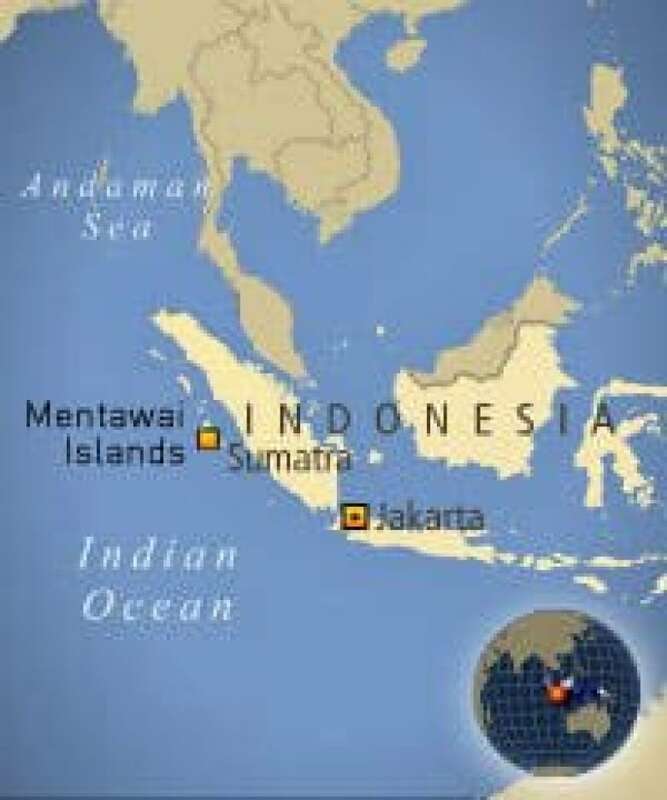 Phillip Charlesworth, head of the International Federation of Red Cross and Red Crescent Societies delegation in Jakarta, said that getting people and supplies to the Mentawai islands has been particularly challenging. "It's a 12-hour boat ride from the mainland and the high waves and strong winds are making the crossing hazardous," he said in a statement Wednesday. At least one search and rescue team has arrived in the islands, and more are on the way, he said. Ships full of food, tents and medical staff are also headed to the remote area, along with 15 doctors and 150 volunteers, the Jakarta Post reported. "Looking to the future, there is a risk of diseases like diarrhea and malaria," Jakarta-based freelance reporter Aubrey Belford said. Indonesian President Susilo Bambang Yudhoyono is cutting short a visit to Vietnam to return to the country, where officials and scientists are also closely monitoring a volatile volcano that started erupting Tuesday. The president is expected to travel to Padang, West Sumatra, to assess the damage, the newspaper reported. The country's most volatile volcano, Mount Merapi, 1,300 kilometres to the east, started to erupt at dusk Tuesday as scientists warned that pressure building beneath its lava dome could trigger one of the most powerful blasts in years. At least 28 people were killed. The two disasters were not related, but they both fell along Indonesia's portion of the so-called Pacific Ring of Fire, a series of fault lines that are prone to earthquakes and volcanic activity stretching from the Western Hemisphere through Japan and Southeast Asia.